Clothing stores come in many shapes and sizes, from discount outlets to designer boutiques. Regardless of the type of clothing store you own though, you need to stay ahead of the fashion trends. This is similar when it comes to Electronic Point of Sale. So, we’ve designed a product that will function perfectly within your apparel business – a made to measure solution offering the best mobile technology and accounting integration. 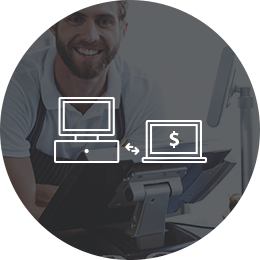 Help your customers and your business, with smoother transactions, remote management and easy inventory control. If you run an apparel store, you’ll know you need to be there most of the time. But this isn’t the case with AccuPOS’ apparel EPOS software though. Thanks to its great mobile functionality, you can manage your store from anywhere in the world, using the same easy log-in process. The result? You’ll always be able to monitor your business and download detailed reports, regardless of whether you’re in Manchester, Mumbai, or Melbourne. It truly is a mobile business solution! Accounting: every business owner knows it can be a nightmare. You’ll have no more sleepless nights with AccuPOS though, as our software is integrated with your current accounting program, sending automatic sales updates straight to it. What’s more, it also handles inventory management and staff clocking in/out as well, giving you a few extra hours each week to dedicate to the real reasons you run a business. There’s no other EPOS system on the market that’s as good – just ask the people at QuickBooks and Sage, as well as the many happy customers we’re already able to boast of. 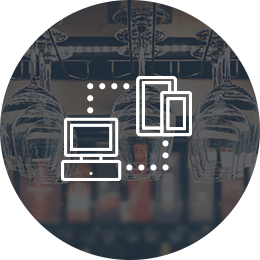 Unlike some other EPOS systems, you’ll find that our software works seamlessly with both Android and PC, meaning you can interchange between the two to suit your needs. So, you can easily take your Android device with you to shows or festivals, and still take payment in the same hassle free and simple manner. 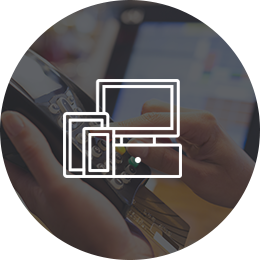 What’s more, you’ll never find any superfluous applications on your EPOS system, as we’ll help you to build a system that’s perfect for you, serving your business to its absolute maximum potential.